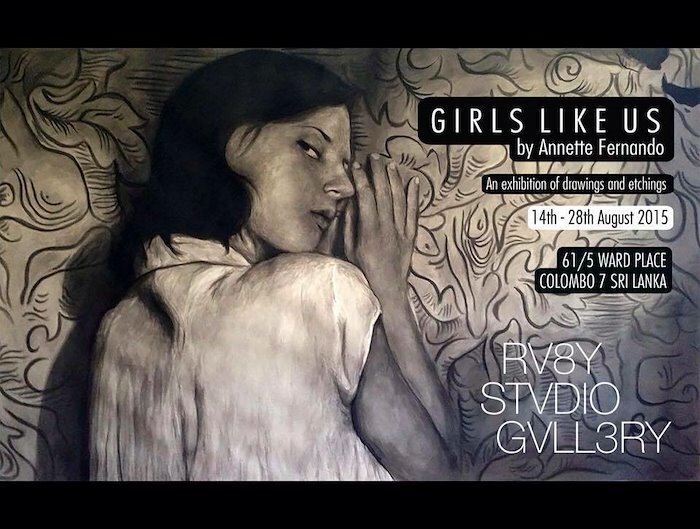 I am happy to announce my first solo show in Sri Lanka ‘Girls Like Us’ at the Ruby Studio Gallery. Opens on the 14th of August 2015 until the 28th of August 2015. The show displays current drawings and etchings, with a particular focus on the British and French new wave movements. Much of the references for the ‘Girls Like Us’ exhibition in Colombo contain scenes from Ingmar Bergman, Roman Polanski, Joseph Losey, Francois Truffaut, Gerry O’Hara and Jean-Luc Godard's cinematic oeuvre. Open Monday-Friday 9am - 6pm During Shows.